French gambling regulator Autorité de Regulation des Jeux en Ligne (ARJEL) has heavily criticised the use of loot boxes in games but has stopped short of taking firm action. Following action and statements from Belgium and the Netherlands, now France is the latest European country to investigate and issue a statement on the monetisation practice as part of its annual activity report. 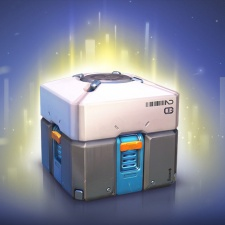 According to an analysis by Baker McKenzie associate Sebastian Schwiddessen, ARJEL said it does not classify loot boxes as gambling and therefore it’s unlikely that France will pass legislation blocking the use of loot boxes. One of the key issues over whether loot boxes are gambling is whether the items received hold any real monetary value. If they can be converted, then this could potentially mean they come under the definition of gambling. But real-world money typically comes from transferring items through third-party sites - which games developers are not deemed, currently, to be responsible for. Overall, while ARJEL is critical of the process and does call for a further look into the practice and collaboration with several other European regulators on the issue, it does not condemn loot boxes overall. It also fails to really commit to a stance - and in this indecisiveness, seemingly lets the practice slide, for now.